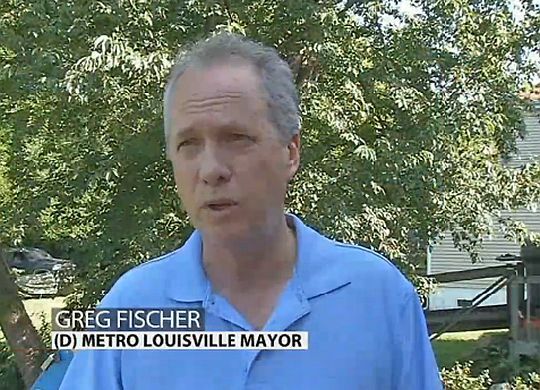 Louisville, Kentucky, Mayor Greg Fischer has long been a vocal supporter of The Fuller Center for Housing’s work in the city — particularly in the West End, where The Fuller Center of Louisville has been focused on renovating once-vacant properties into like-new homes for families in need. On Saturday, the mayor picked up a hammer and joined the “Community Transformation House Build,” a joint project of The Fuller Center and Southeast Christian Church that has drawn hundreds of volunteers to complete 10 homes in three weeks. The mayor took a break from his work Saturday to talk with WDRB-TV about the project. Click the button below to view the WDRB report.